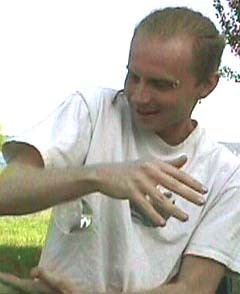 Jason Lamport embodies the Renaissance spirit of the complete human being: dancer, free thinker, architect of computer code, author of literature, crafter of music and assembler of visual art. There is no field into which he did not venture; science and the humanities alike were home to his restless mind. In every area of life where he made his mark, he also contributed to the humans involved, volunteering his time and mind to organize things he saw as benefitting all of us.